The National Assembly will complete its five-year term next week. 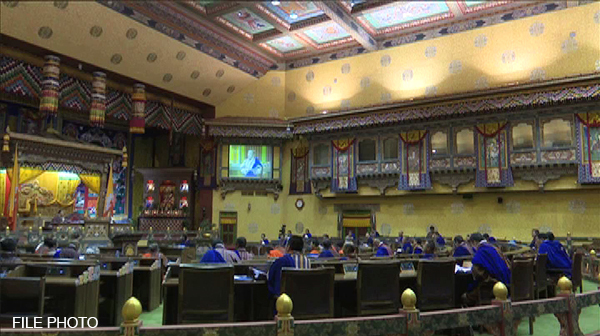 The secretariat says the house will dissolve on August 1 with the offering of Zhabten and Tashi Moenlam. The preparations are underway for the last gathering in the Assembly hall. The Secretary-General of the Secretariat, Sangay Duba, said the members will also surrender their Kabney and Patang to mark the completion of their responsibility. As per Article 19 of the Constitution, the Prime Minister and the Ministers shall resign from office upon the appointment of the Interim Government. The Interim Government will consist of a Chief Advisor and other Advisors appointed by the Druk Gyalpo within fifteen days after the dissolution of the National Assembly. An Interim Government will function for a period, which shall not exceed ninety days. The second National Assembly was constituted on August 2 in 2013.